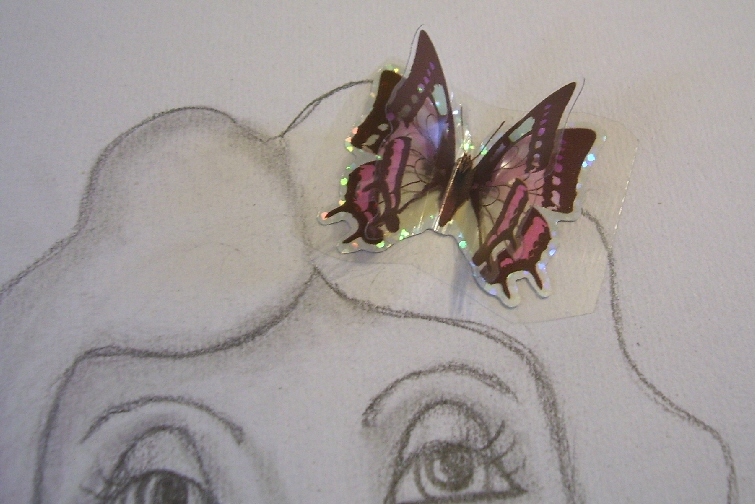 Well day 2 has come along, it was a busy day for me so I didn't get to do much in the way of embellishing or colouring or painting this face, but, when I was out shopping I stopped by a dollar store and found these wonderful butterfly stickers that are 3D. As soon as I got home I took one and placed it on my girls hair. Just what she needed. Butterflies intrigue me, they flutter around and add to the beauty of a garden, or a still quiet moment. I am going to try to do some mixed media and not just pencil sketches but with the days flying by and things to do that creep into my daily routine it will be a challenge just to post a face each day, but, I am committed and I will do this challenge. I have really enjoyed stopping by some fellow and new bloggers who are also involved in this 29 Faces challenge. I find it very inspiring and learning from each face I see and what I can improve on. 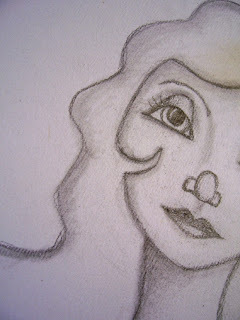 So here is Face number 2 and I hope you will give me some feedback on her. Love to hear your comments. The faces are so sweet looking. I lovebutterflys too. So light and airy. This is the second blog Ive seen about 29 faces. Like the way you do your eyes. She has a lot of personality. I'm looking forward to seeing her with paint. Shes very sweet, i especially love her eyes. 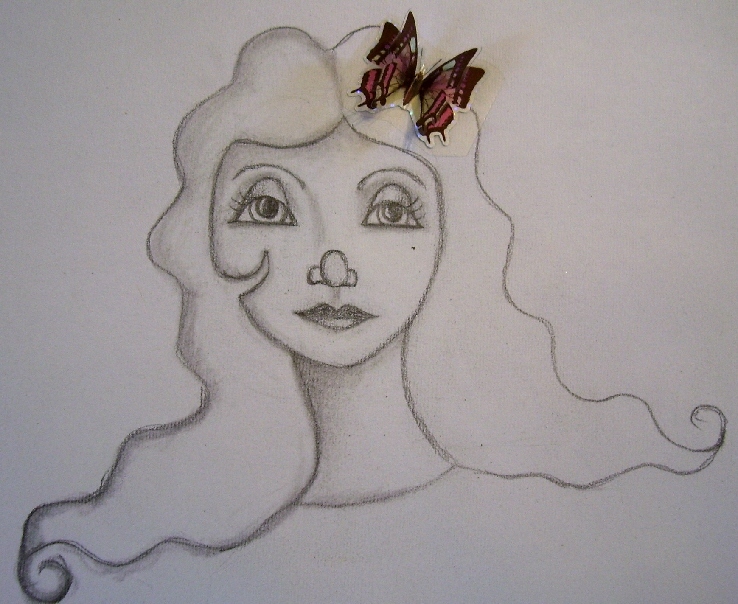 The butterfly adds an interesting visual aspect to your drawing, making it come alive! She's terrific les,very perky looking ! Anxious to see her in color too.